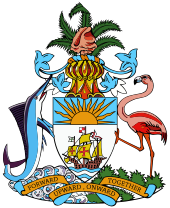 Anthem: " March On, Bahamaland"
The Bahamas ( /bəˈhɑːməz/ ( listen)), known officially as the Commonwealth of The Bahamas,  is a country within the Lucayan Archipelago. 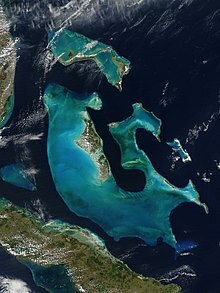 The archipelagic state consists of more than 700 islands, cays, and islets in the Atlantic Ocean, and is located north of Cuba and Hispaniola ( Haiti and the Dominican Republic), northwest of the Turks and Caicos Islands, southeast of the U.S. state of Florida, and east of the Florida Keys. The capital is Nassau on the island of New Providence. 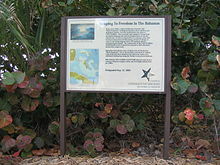 The designation of "the Bahamas" can refer either to the country or to the larger island chain that it shares with the Turks and Caicos Islands. 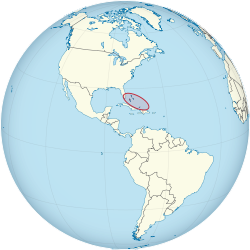 The Royal Bahamas Defence Force describes the Bahamas territory as encompassing 470,000 km2 (180,000 sq mi) of ocean space. In 1670, King Charles II granted the islands to the Lords Proprietors of the Carolinas in North America. They rented the islands from the king with rights of trading, tax, appointing governors, and administering the country. In 1684 Spanish corsair Juan de Alcon raided the capital, Charles Town (later renamed Nassau). In 1703, a joint Franco-Spanish expedition briefly occupied the Bahamian capital during the War of the Spanish Succession. During proprietary rule, the Bahamas became a haven for pirates, including Blackbeard (circa 1680–1718). To put an end to the ' Pirates' republic' and restore orderly government, Great Britain made the Bahamas a crown colony in 1718 under the royal governorship of Woodes Rogers. After a difficult struggle, he succeeded in suppressing piracy. In 1720, Rogers led local militia to drive off a Spanish attack. After US independence, the British resettled some 7,300 Loyalists with their slaves in the Bahamas, including two thousand from New York  and at least 1,033 whites, 2,214 blacks and a few Creeks from East Florida. Most of the refugees resettled from New York had fled from other colonies, including West Florida, which the Spanish captured during the war. The government granted land to the planters to help compensate for losses on the continent. These Loyalists, who included Deveaux, established plantations on several islands and became a political force in the capital. European Americans were outnumbered by the African-American slaves they brought with them, and ethnic Europeans remained a minority in the territory. The climate of the Bahamas is tropical savannah climate or Aw according to Köppen climate classification. The low latitude, warm tropical Gulf Stream, and low elevation give the Bahamas a warm and winterless climate. The Bahamas have been free of snowfall, with the exception of snow mixed with rain reported in Freeport on the island of Grand Bahama on 19 January 1977. Although every few decades low temperatures can fall below 10 °C (50 °F) for a few hours when a severe cold outbreak comes off the North American mainland. There is only a 7 °C difference between the warmest month and coolest month in most of the Bahama islands. As with most tropical climates, seasonal rainfall follows the sun, and summer is the wettest season. The Bahamas are often sunny and dry for long periods of time, and average more than 3,000 hours or 340 days  of sunlight annually. The Bahamanian military is the Royal Bahamas Defence Force (RBDF), the navy of the Bahamas which includes a land unit called Commando Squadron (Regiment) and an Air Wing (Air Force). 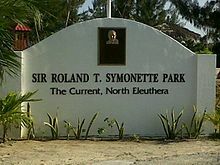 Under the Defence Act, the RBDF has been mandated, in the name of the Queen, to defend the Bahamas, protect its territorial integrity, patrol its waters, provide assistance and relief in times of disaster, maintain order in conjunction with the law enforcement agencies of the Bahamas, and carry out any such duties as determined by the National Security Council. The Defence Force is also a member of the Caribbean Community ( CARICOM)'s Regional Security Task Force. The Bahamas relies on tourism to generate most of its economic activity. Tourism as an industry not only accounts for over 60% of the Bahamian GDP, but provides jobs for more than half the country's workforce. The Bahamas attracted 5.8 million visitors in 2012, more than 70% of whom were cruise visitors. The official language of the Bahamas is English. Many people speak an English-based creole language called Bahamian dialect (known simply as "dialect") or "Bahamianese." Laurente Gibbs, a Bahamian writer and actor, was the first to coin the latter name in a poem and has since promoted its usage. Both are used as autoglossonyms. Haitian Creole, a French-based creole language is spoken by Haitians and their descendants, who make up of about 25% of the total population. It is known simply as Creole  to differentiate it from Bahamian English. Also note that the Bahamas was once under British rule and therefore the English taught in the Bahamian schools is still "British-based". According to International Religious Freedom Report 2008 prepared by United States Bureau of Democracy, Human Rights and Labor, the islands' population is predominantly Christian. Protestant denominations are widespread and collectively account for more than 70% of the population, with Baptists representing 35% of the population, Anglicans 15%, Pentecostals 8%, Church of God 5%, Seventh-day Adventists 5% and Methodists 4%. There is also a significant Roman Catholic community accounting for about 14%. There are also smaller communities of Jews, Muslims, Baha'is, Hindus, Rastafarians and practitioners of Obeah. 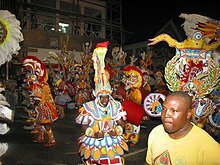 Sport is a significant part of Bahamian culture. The national sport is cricket. Cricket has been played in the Bahamas from 1846,  the oldest sport being played in the country today. The Bahamas Cricket Association was formed in 1936, and from the 1940s to the 1970s, cricket was played amongst many Bahamians. Bahamas is not a part of the West Indies Cricket Board, so players are not eligible to play for the West Indies cricket team. 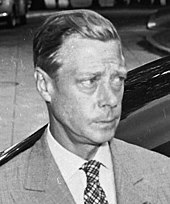 The late 1970s saw the game begin to decline in the country as teachers, who had previously come from the United Kingdom with a passion for cricket, were replaced by teachers who had been trained in the United States. The Bahamian physical education teachers had no knowledge of the game and instead taught track and field, basketball, baseball, softball,  volleyball  and Association football  where primary and high schools compete against each other. Today cricket is still enjoyed by a few locals and immigrants in the country usually from Jamaica, Guyana, Haiti and Barbados. Cricket is played on Saturdays and Sundays at Windsor Park and Haynes Oval. The only other sporting event that began before cricket was horse racing, which started in 1796. The most popular spectator sports are those imported from the United States, such as basketball,  American football,  and baseball,  rather than from the British Isles, due to the country's close proximity to the United States, unlike their other Caribbean counterparts, where cricket, rugby, and netball have proven to be more popular. Other popular sports are swimming,  tennis  and boxing,  where Bahamians have enjoyed some degree of success at the international level. Other sports such as golf,  rugby league,  rugby union,  beach soccer,  and netball are considered growing sports. Athletics, commonly known as 'track and field' in the country, is the most successful sport by far amongst Bahamians. Bahamians have a strong tradition in the sprints and jumps. Track and field is probably the most popular spectator sport in the country next to basketball due to their success over the years. Triathlons are gaining popularity in Nassau and the Family Islands. Bahamians have gone on to win numerous track and field medals at the Olympic Games, IAAF World Championships in Athletics, Commonwealth Games and Pan American Games. Frank Rutherford is the first athletics olympic medallist for the country. He won a bronze medal for triple jump during the 1992 Summer Olympics. Pauline Davis-Thompson, Debbie Ferguson, Chandra Sturrup, Savatheda Fynes and Eldece Clarke-Lewis teamed up for the first athletics Olympic Gold medal for the country when they won the 4 × 100 m relay at the 2000 Summer Olympics. They are affectionately known as the "Golden Girls". Tonique Williams-Darling became the first athletics individual Olympic gold medallist when she won the 400m sprint in 2004 Summer Olympics. In 2007, with the disqualification of Marion Jones, Pauline Davis-Thompson was advanced to the gold medal position in the 200 metres at the 2000 Olympics, predating William-Darling. ^ Howard, R. (2006). "The "Wild Indians" of Andros Island: Black Seminole Legacy in the Bahamas". Journal of Black Studies. 37 (2): 275. doi: 10.1177/0021934705280085. ^ "Caribbean Islands – Bahamas (rev. 2015)". 2015-12-04. Retrieved 4 December 2015. ^ " The Names of Loyalist Settlers and Grants of Land Which They Received from the British Government: 1778–1783". ^ Osiapem, Iyabo F., ed. (2006). "Book Review: Urban Bahamian Creole: System and Variation". Journal of English Linguistics. 34 (4): 362–366. doi: 10.1177/0075424206292990. ^ Sturupp, Fred (2018-07-12). "American football in The Bahamas poised for a new era of exposure". The Nassau Guardian. Retrieved 2019-03-10.